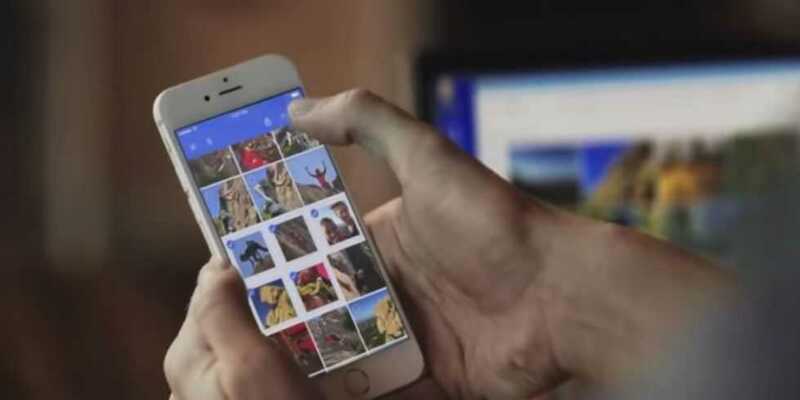 Google had launched Google Photos, an app for managing photos almost a year ago. It was a hit and was available for both Android and iPhone based platforms. Google proudly boasted at the recent I/O developer conference that the Google photos app has already garnered about 200 million users. It is probably one of the rapidly growing consumer-based products in the history of this tech market. Google’s officials have suggested that Google Photos will surely evolve and improve with every change. The most important purpose of building this app is to help users backup their photos. Every time you click a picture on your phone, it automatically gets backed up on the Google servers. And all this done by Google Photos which is hawk-eyed towards deleting duplicates. The app automatically selects photos that have been already backed up and deletes them, so that the free space is created on your device. For the record, till date many duplicate photos have been deleted by the app. Almost 13.7 petabytes of storage were freed upon user’s phones. This comes very handily to users when they usually run out of space on their mobile devices. Google Photos itself is a feature which when featured live cannot accommodate more than a level of photos, as it does not have a lot of storage space on its own. So Google claims that it might use artificial intelligence in future to check the photos and resolve by itself if a particular photograph needs to be backed up or not. This might act by probably deleting duplicates or by deleting pictures that are blurry. According to sources, Google photos are used by almost 200 million people each month. So by calculating the stats, it would take almost 424 years to go through all the 13.7 petabytes of photographs that have been backed up on the app. The service has labeled almost 2 trillion photographs out of which 24 million are just selfies. Google Photos has another core feature to it, the Google Assistant. However, Google Assistant has now made its way through all the applications from Google. Assistant on Google Photos helps in automatically categorizing all the photos in groups with themes. For example, it will automatically search and group all your pictures of beaches. When you tag the people in the photos, it will group people together based on face-matching. Now you can make searches like “John at the beach” and find the relevant pictures. It can also group a bunch of photographs to automatically create albums, collages, movies and GIFs. These automatically generated groups or albums are referred to as “creations” by Google. Google’s officials claim that almost 1.6 billion such creations have been made in the past year and it is looking forward to creating even more. This seems to be a great chance to unite creations and machine learning together. One creation that is completely adorable about this concept is the “rediscover this day”, where the users are presented with all the significant moments on a specific date in the past years. Rather than just the “here’s what happened a year ago,” here is a set of photographs from instances like “the last time you were at this restaurant” or “the last you were with these people”. So, this doesn’t have to be just a year ago! Google plans to make Photos even better and smarter with the movies and the albums that it creates by giving them a hearty panorama and a superior point of view. For Example, for an anniversary album, it might automatically select a shot from the wedding pictures in which your partner and you are looking at each other and make it the cover photo of the album. The third pillar of Google photos along with the storage and organization is “Sharing”. This feature is built up in such a way that you can share your photos and moments with other people at a single click. These photos can then be automatically added to their own libraries by the people with whom you have shared your pictures. Shared albums can also be formed with multiple contributors. The Photos can also be easily exported to other social networking apps and services like Gmail or Facebook. However, many changes and improvements are to be made especially when it comes to the one-on-one proximity sharing. Almost 25 million photos are shared per week via Bluetooth. The market is a very bandwidth sensitive one. And if two people who need the pictures to be shared within them are standing close to each other, why should they spend mobile data to do that, which of course comes at a price. The company had also announced at the Google I/O about a new project “Nearby”, which is designed in such a way that it helps people to connect, share and broadcast their photos when they are in close surroundings. Rather than sharing the photos on an app or onto a particular cloud or destination, Google is looking forward to making changes so that the photos are shared within people. Google claims that this is just a glimpse of where it is taking Google Photos, as it is investing in to make the sharing experience much easier and better. You can also find pictures at Google Photos on a phone by using relevant emojis also. For example, if you search by using an emoji for a smiley face, then all the photos which have people smiling will pop-up. Next Next post: HTC One M9 + Prime Camera Edition – Is it Just the One M9 Renamed?